Thank you for visiting another one of Blackstock Ford Lincoln's exclusive listings! 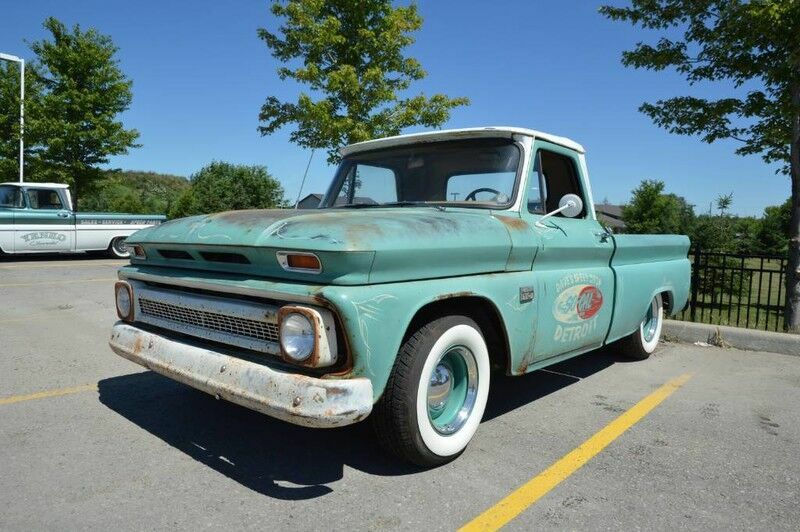 The 1966 C10 is the last year of the Apache Cab and one of the most desirable of Classic Chev Trucks. Short Box and Fleetside add to the desirability of this model. Obviously the truck screams patina. Underneath you will find the solid and clean steel of a southern US truck. A new hood and inner fenders were installed along the way. We put in a quality rebuilt Automatic O/D behind the strong and fresh 283. Bell Tech Suspension lowers the stance with disc brakes up front and the classic white walls and moonies. Our Mod Shop, Bad Dog Mods will guide you through any additional upgrades such as Dakota Digital, QA1 Suspension, Fosgate Audio or just drive and enjoy. We are also in the middle of a full resto mod on a 1960 Apache estimated to be $65,000 on completion or step in now and build it your way.